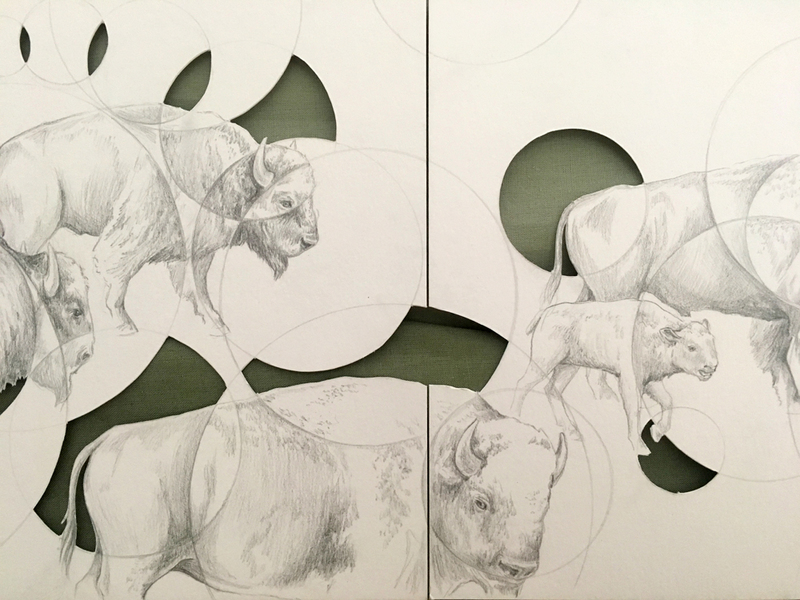 Nature is a force bigger than us – a full spectrum – both micro and macro – past, present and unknown future. 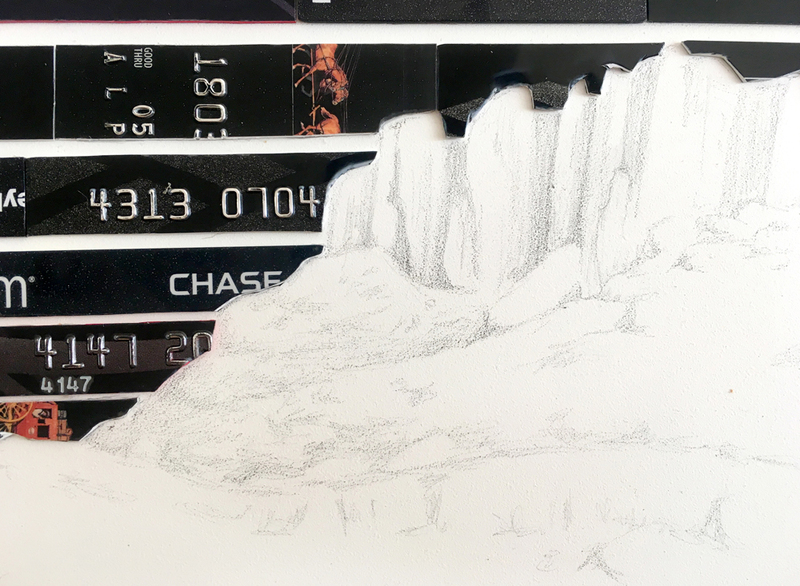 It exists and operates around us with a delicate balance of life. 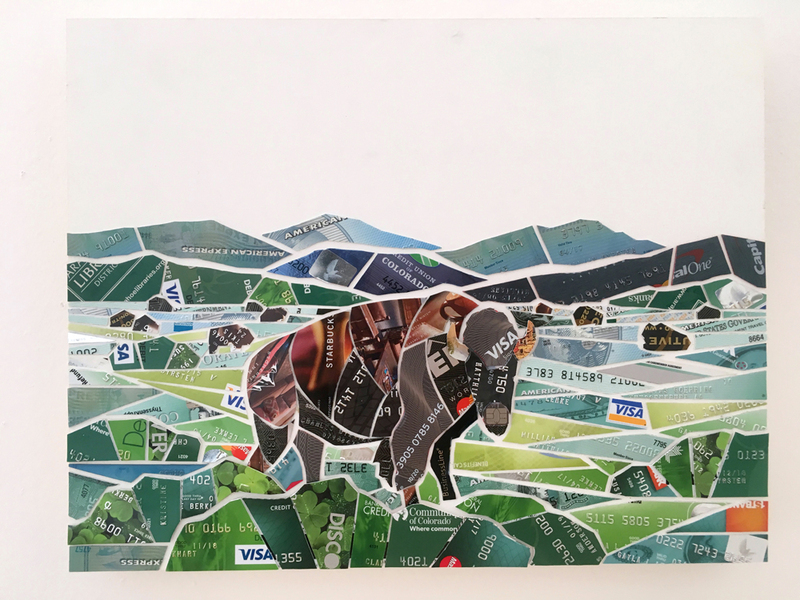 National Parks: credit and debit card on panel. 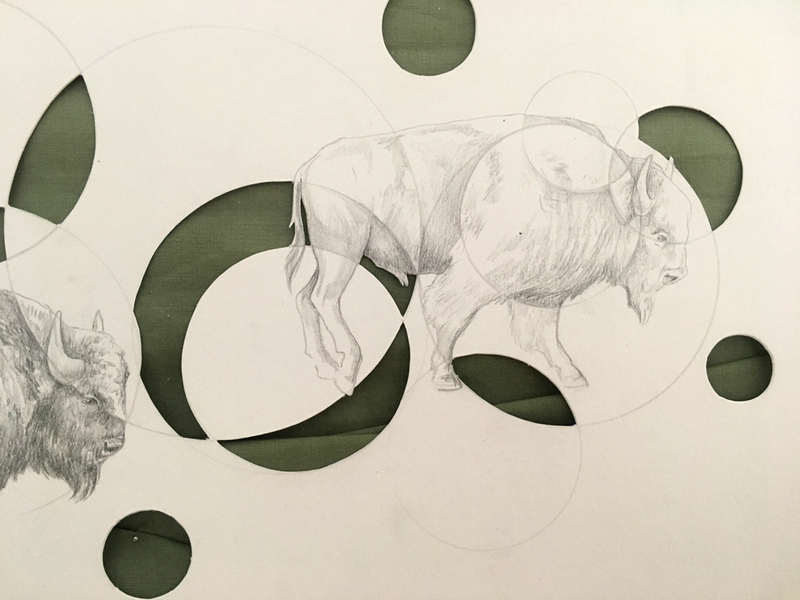 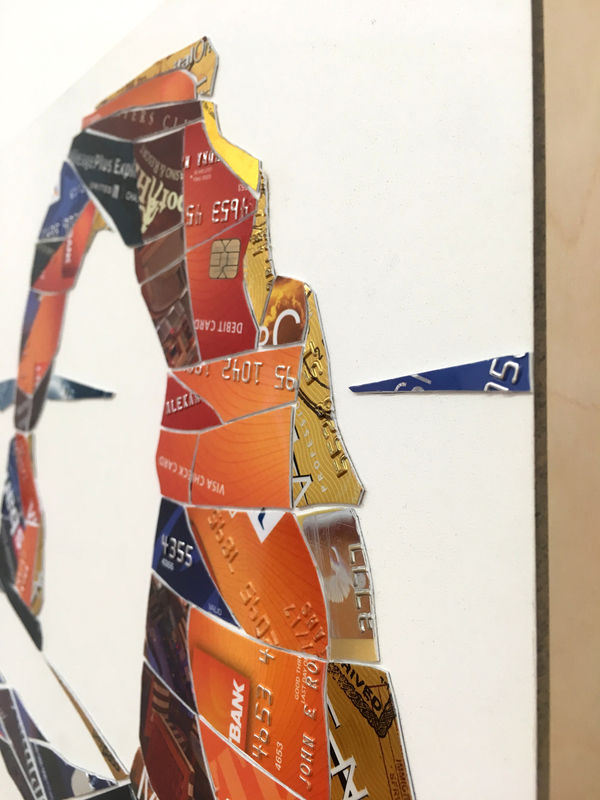 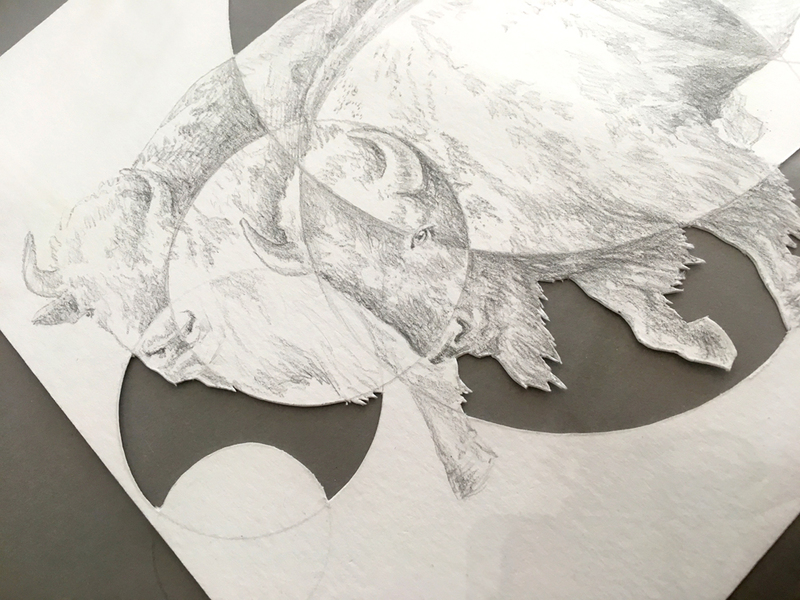 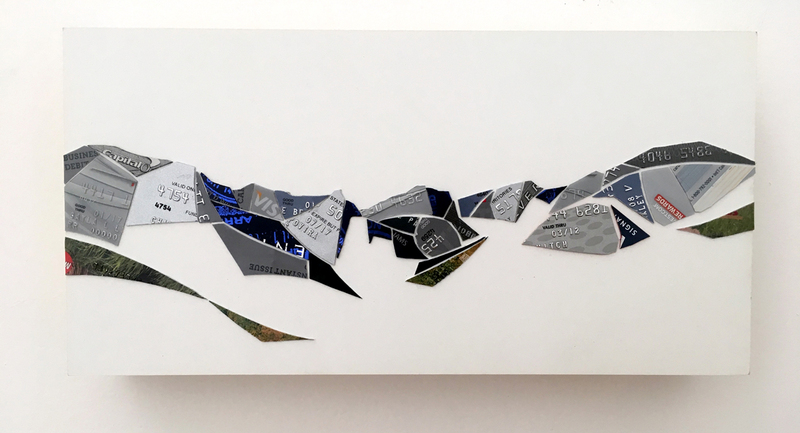 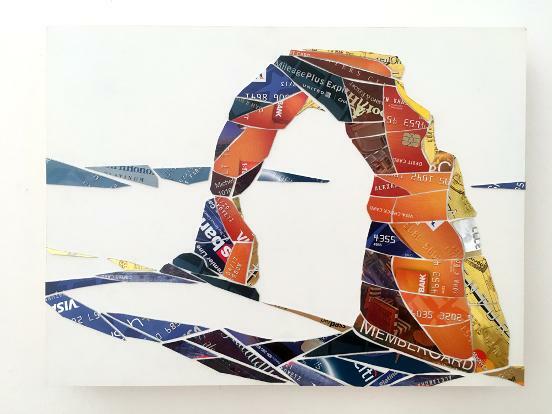 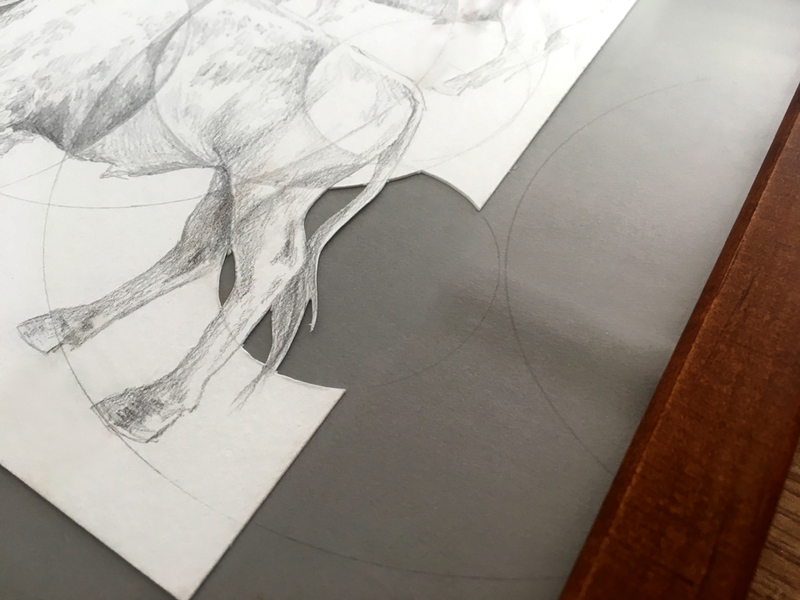 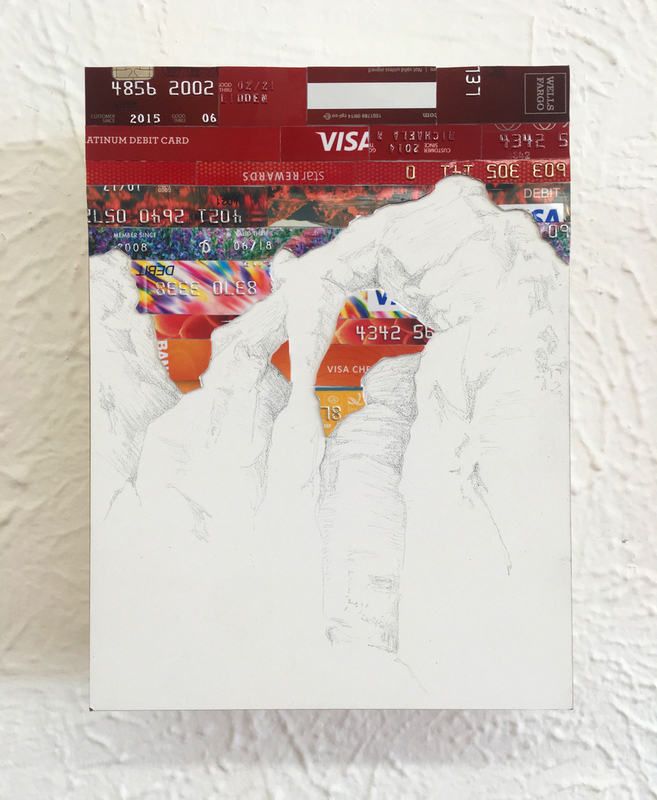 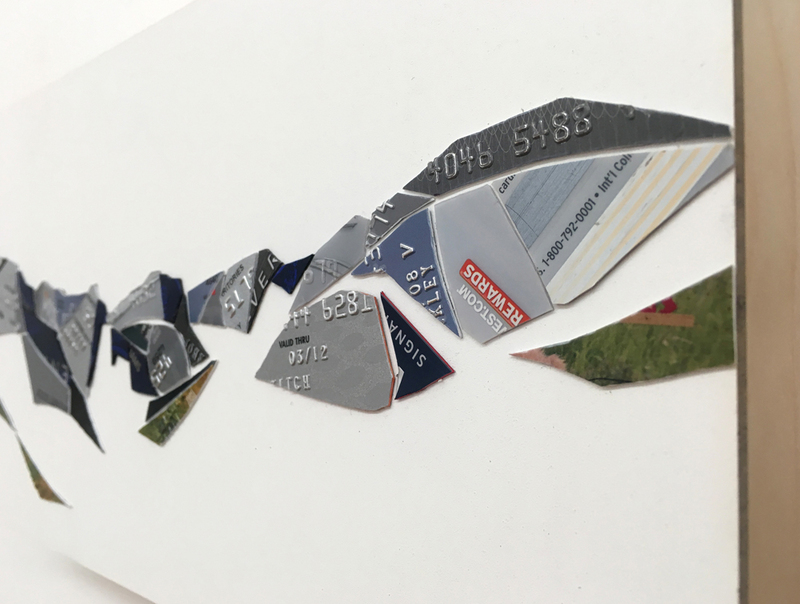 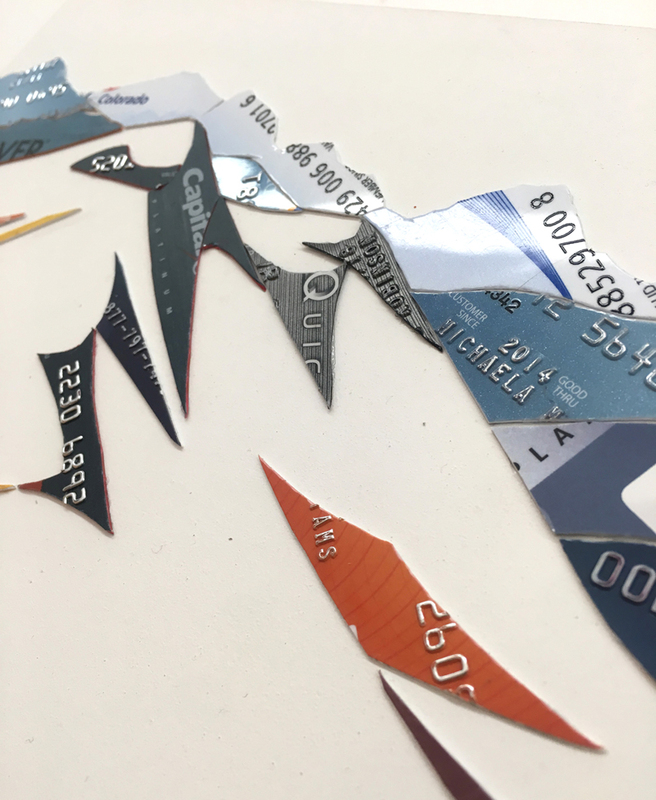 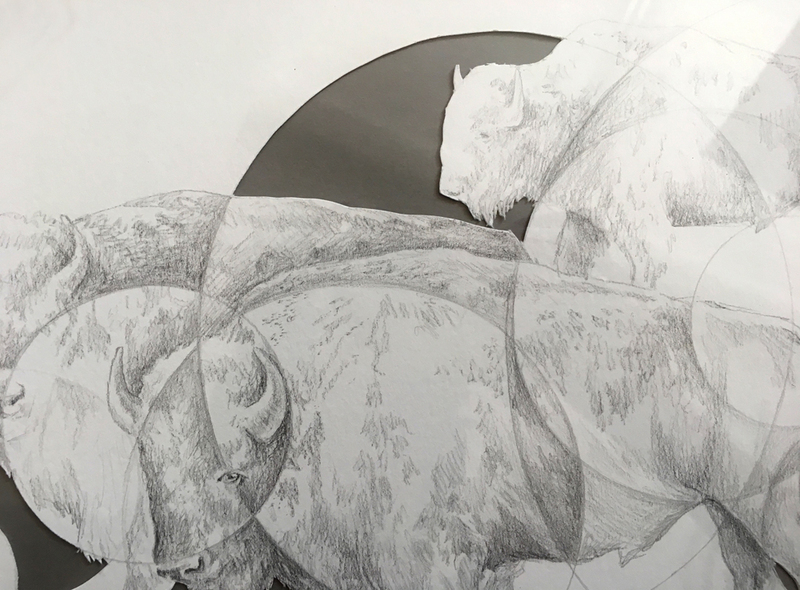 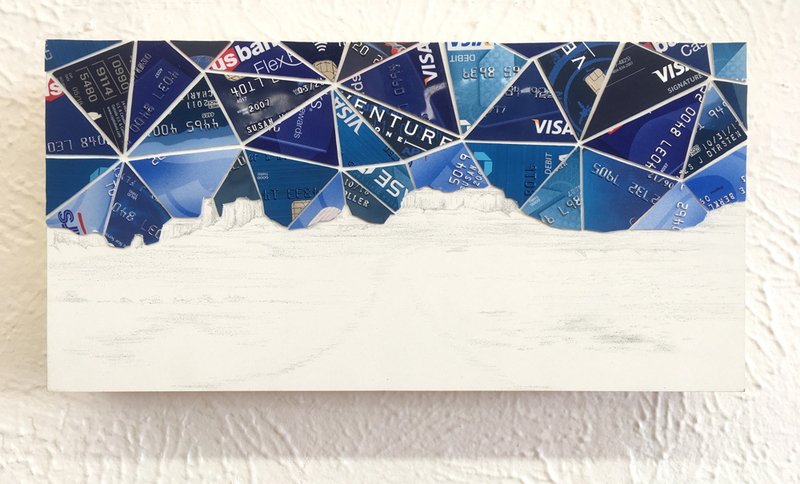 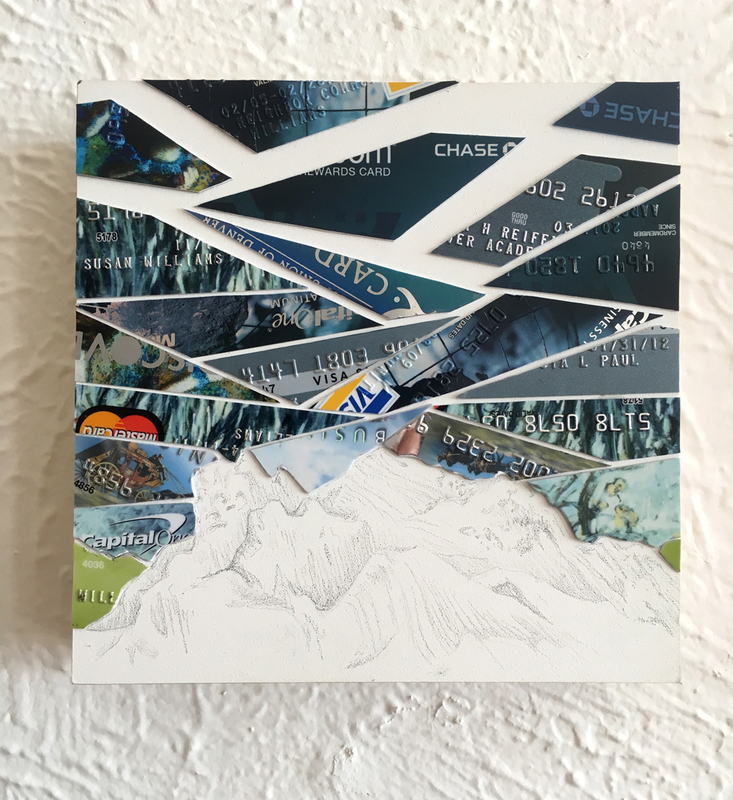 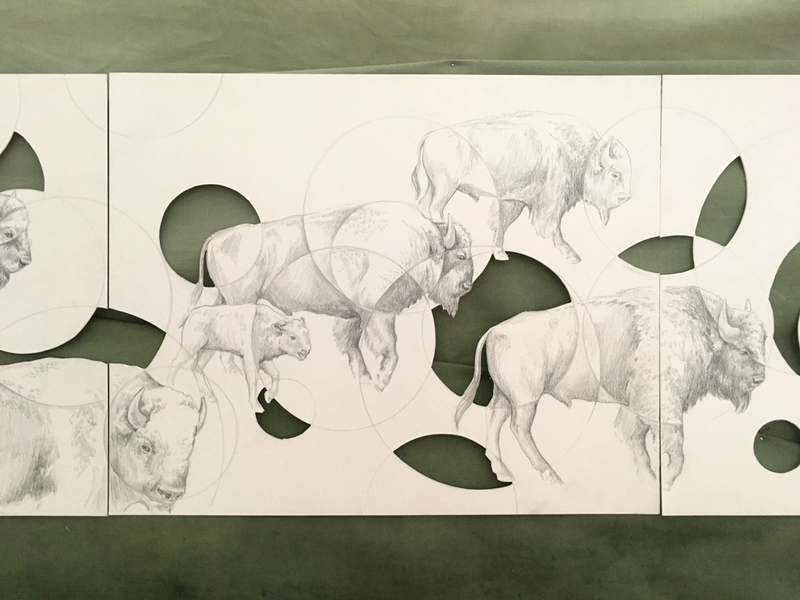 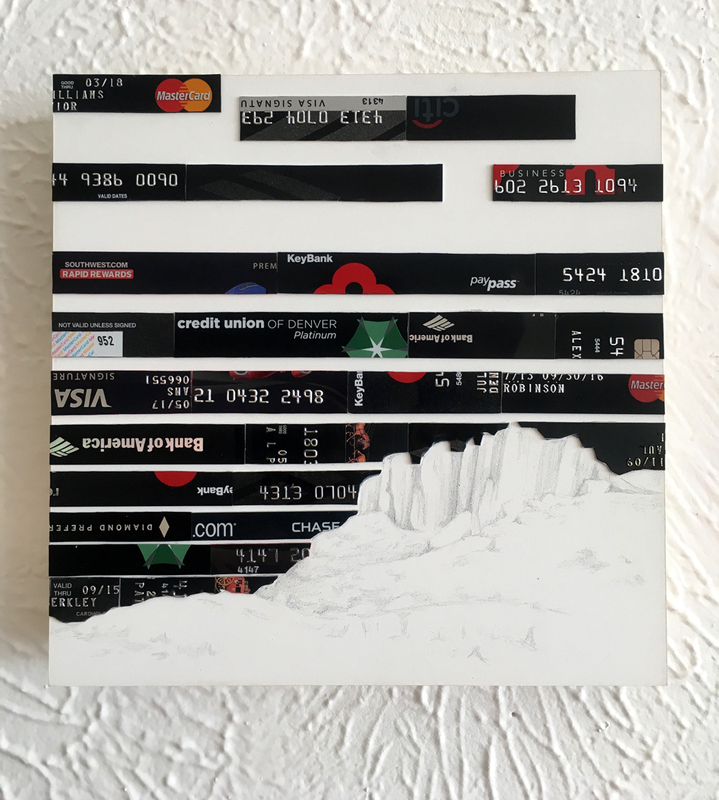 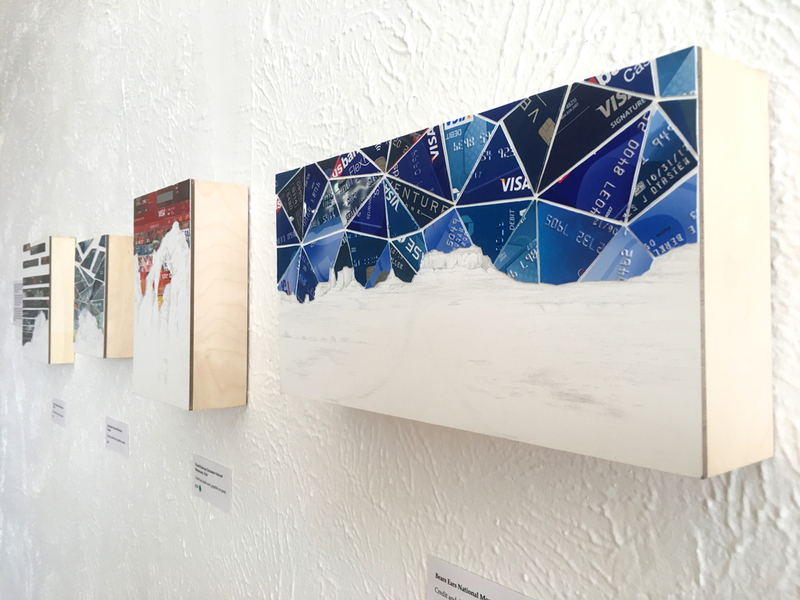 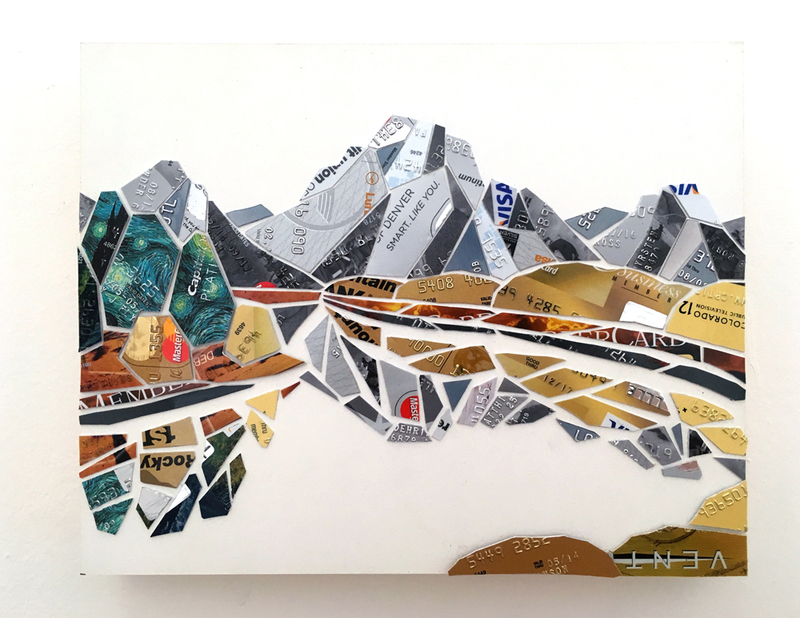 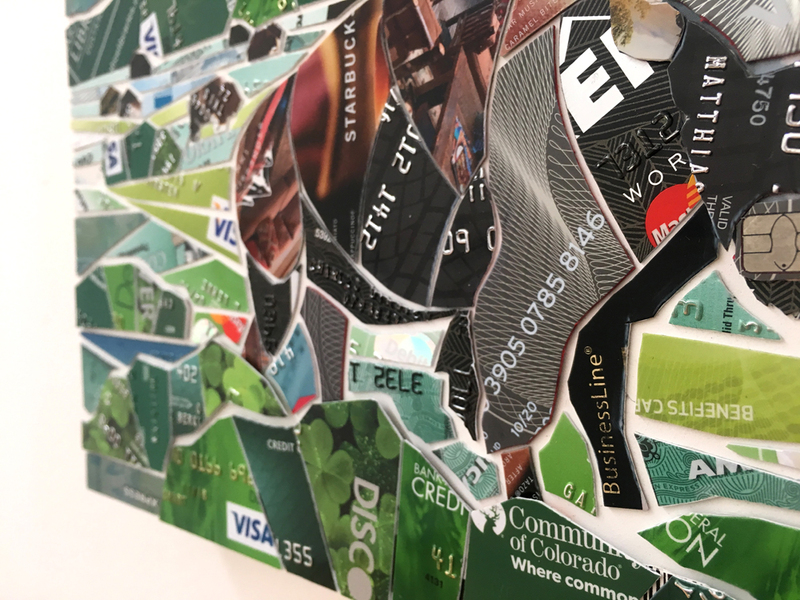 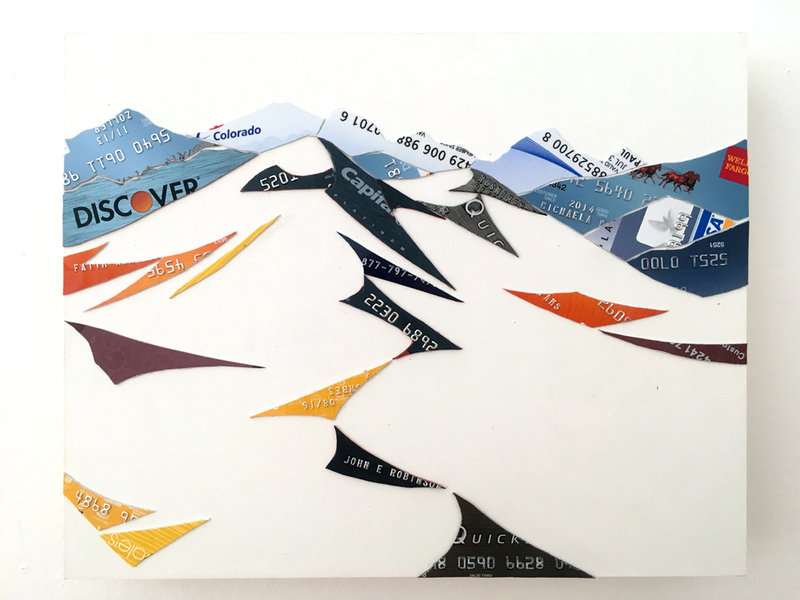 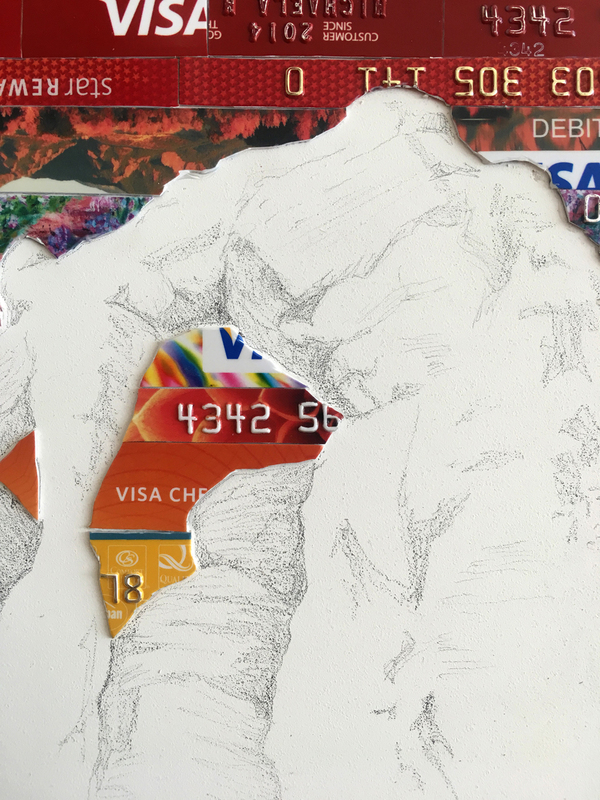 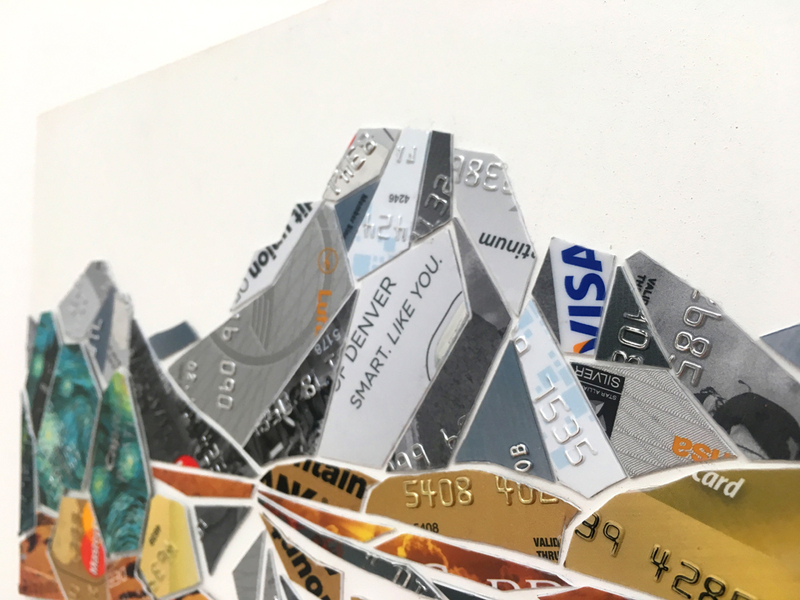 Endangered National Monuments: credit card and graphite on panel. 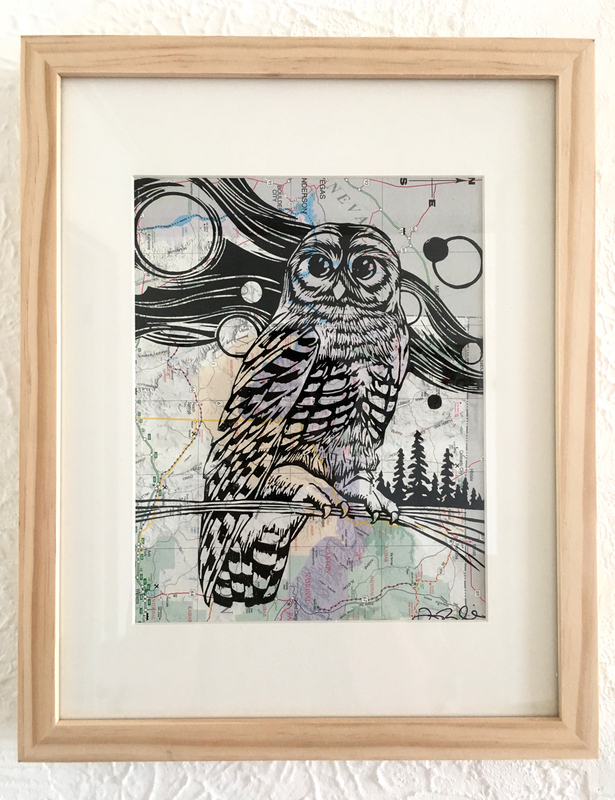 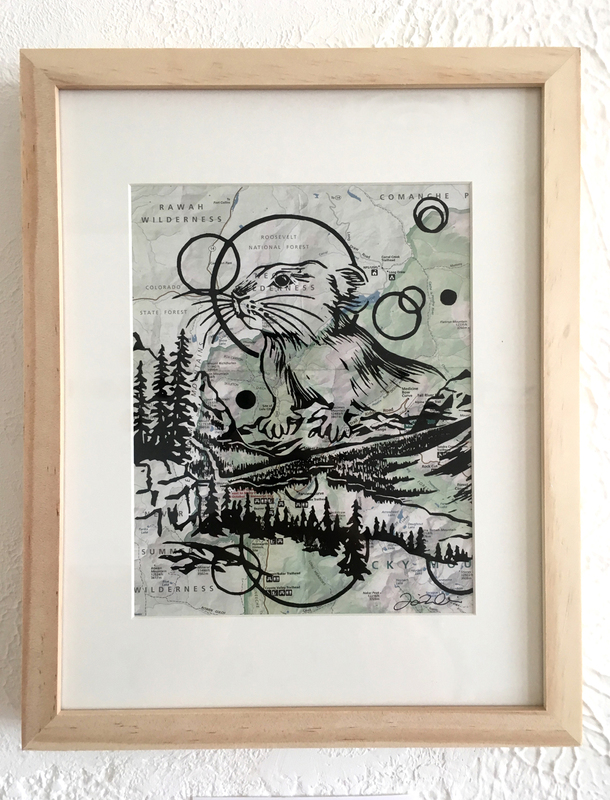 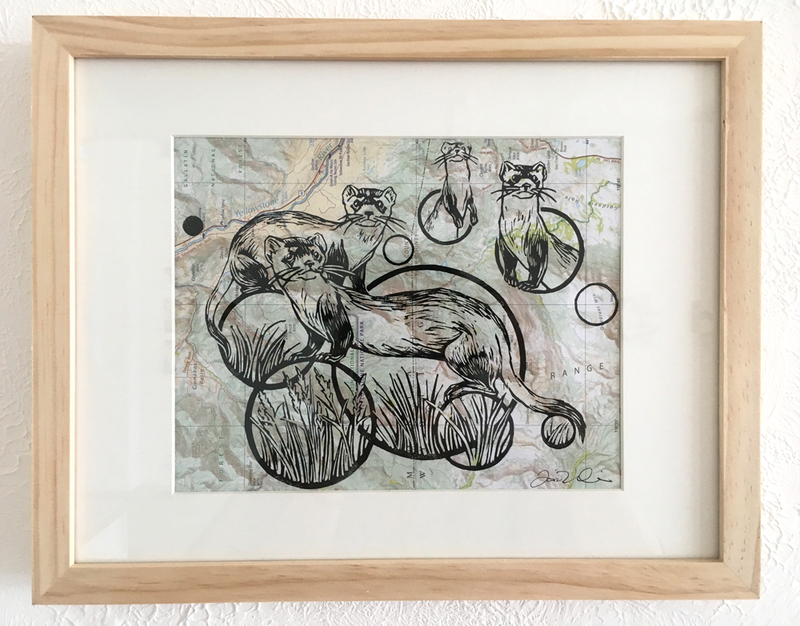 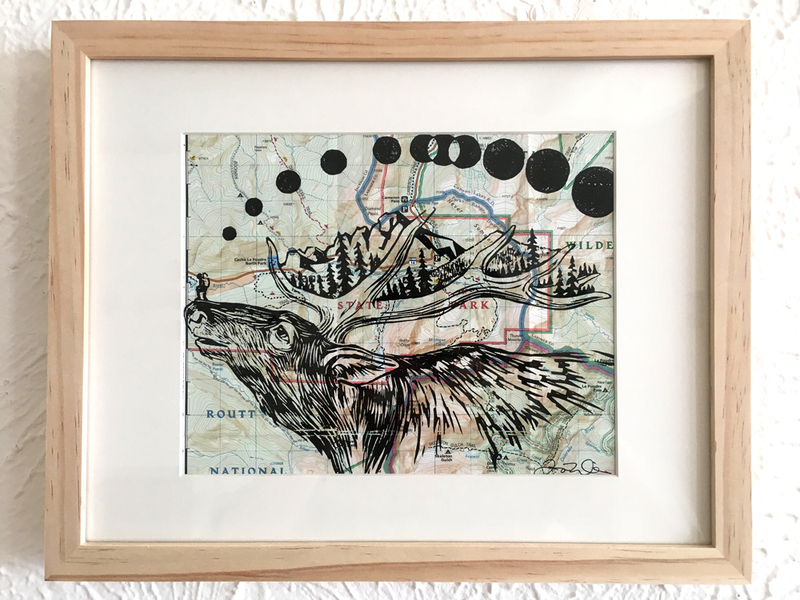 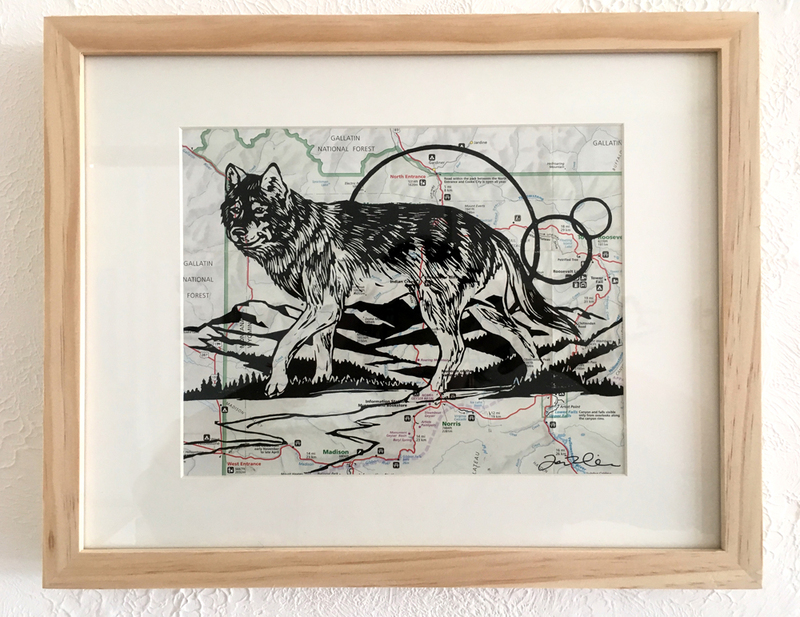 Endangered Species: linoleum relief print on found national and state park maps. 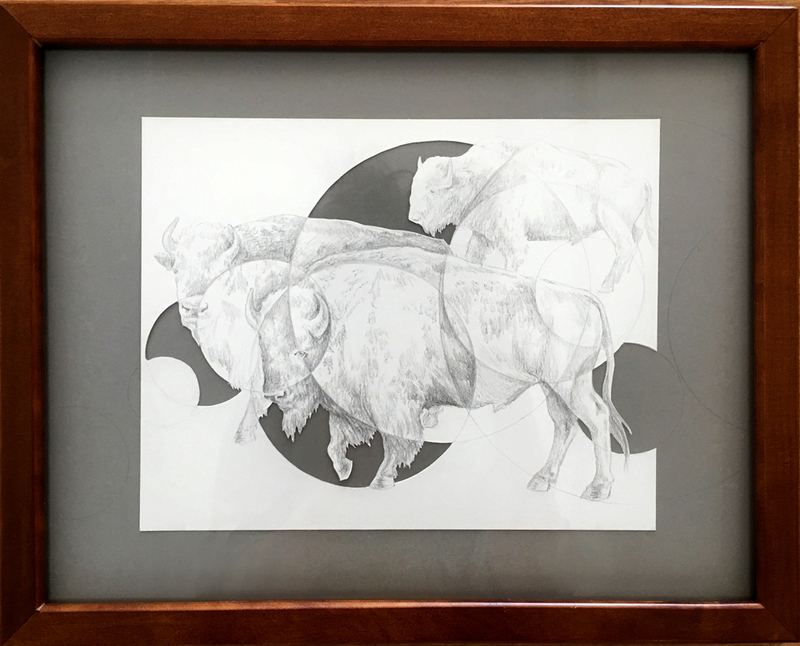 Ancestors of the Plains: the 25 bison of 1905 Yellowstone. 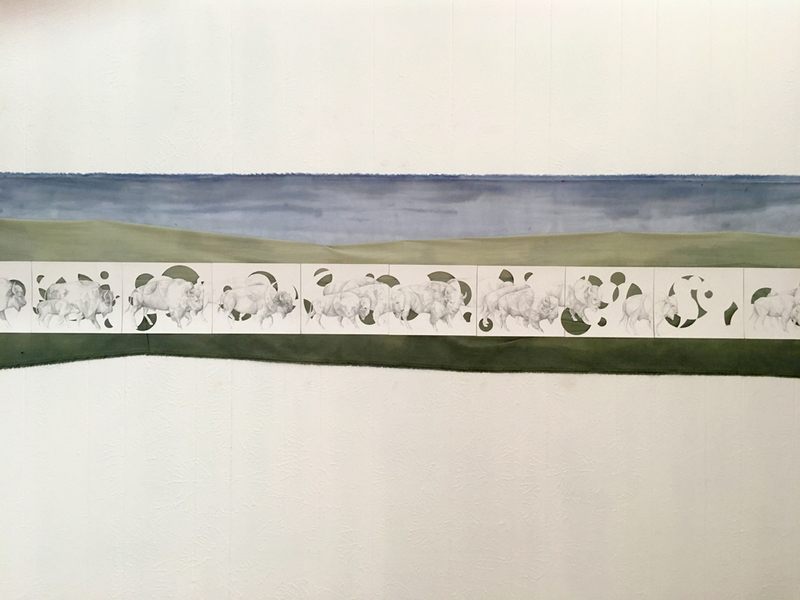 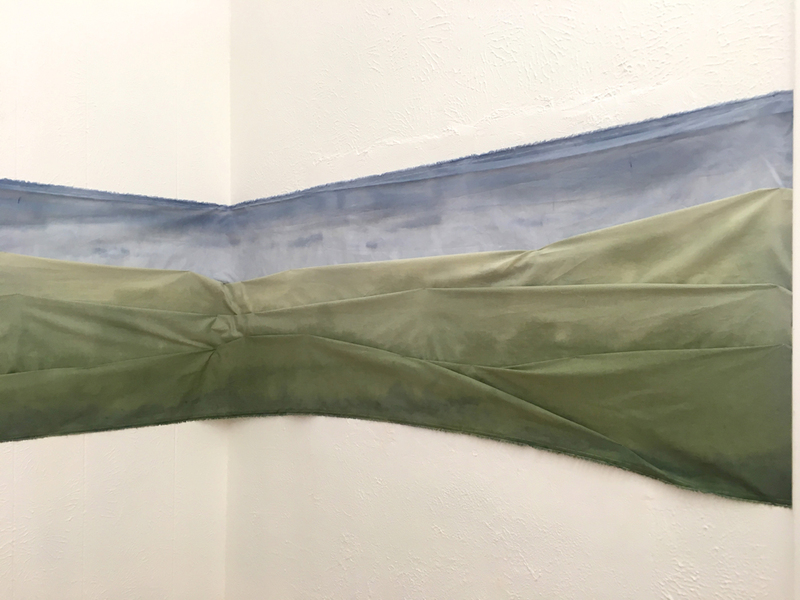 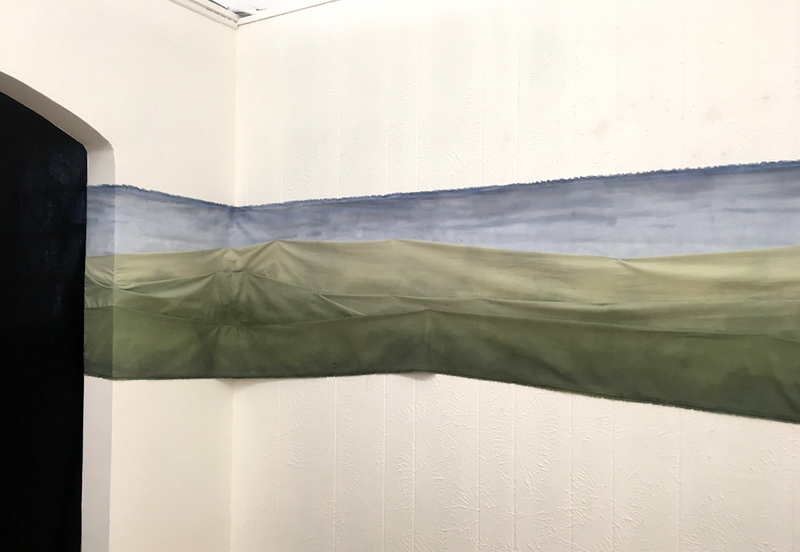 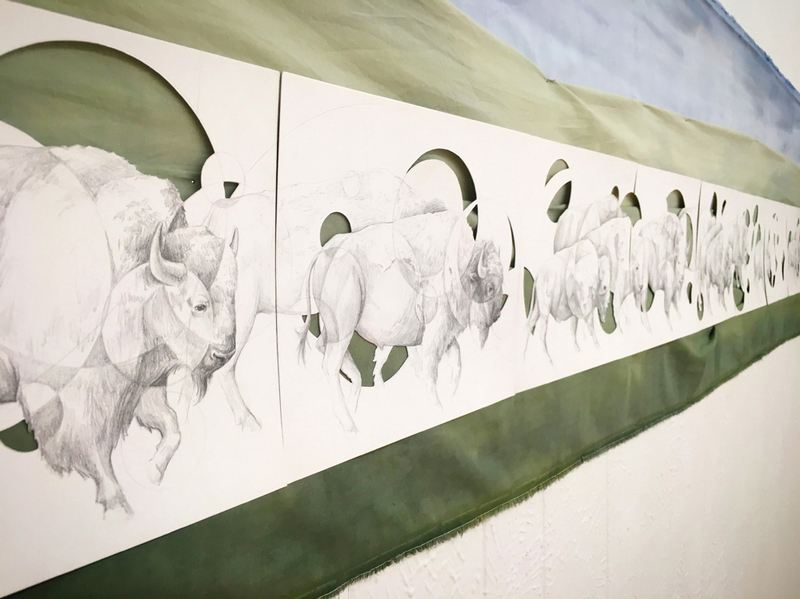 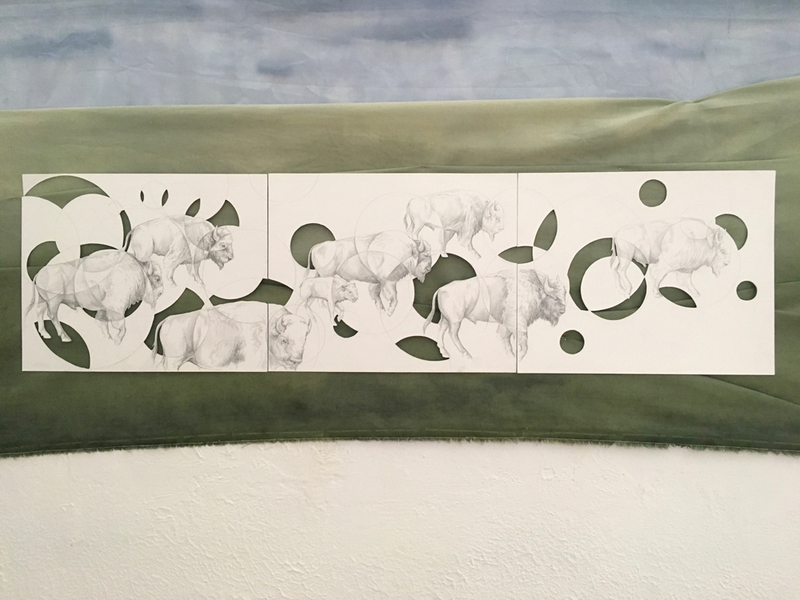 Graphite and paper cut, hand dyed fabric installation.